Lawrence Emmet McDermott was born on 6 September 1911 at Glebe, Sydney, the sixth of ten children of dentist Ormond Joseph McDermott and his wife Mary May, née Lawler. On 19 April 1939 he married Arline, known as Betty (1915–87), daughter of William A Hagon and his wife Arline M, née Hitchins. They had one son, John Emmet McDermott and a daughter Anne Keeling. Lawrence Emmet McDermott later married Eula McDonald. He died in August 2002, in his 91st year, survived by his second wife. His funeral was held at St Mary’s Cathedral. Emmet McDermott was educated at St Ignatius College Riverview before graduating in dentistry at the University of Sydney. He gained his doctorate of dentistry from Northwestern University, Chicago. Dr McDermott was Consultant Dental Surgeon at the Royal Prince Alfred Hospital from 1942 and Eastern Suburbs Hospital from 1945 and also worked at the Sydney Dental Hospital. He was the President of the Australian Dental Association (NSW) from 1960 to 1961. McDermott was a Fellow of the International College of Dentists (1961) and the Australian College of Dentists (1965). He was President of the Board of Control of the United Dental Hospital of Sydney from 1967 to1972. McDermott was a director of City Mutual Life Assurance Society and Hermitage Wines Pty Ltd and a Member of Convocation at Macquarie University. He was a NSW executive member of the Liberal Party of Australia. He was also a life member of the Sydney University Newman Catholic Graduates Association. His clubs included the Australian Golf Club, the Australian Jockey Club, Tattersalls, Chatswood Bowling Club and the Knights of the Southern Cross Club. Sir Emmet McDermott was knighted (KBE) in 1972. Emmet McDermott was Alderman for Gipps Ward, 1 December 1962 until 13 November 1967 when the Council was replaced by a three-member Commission. 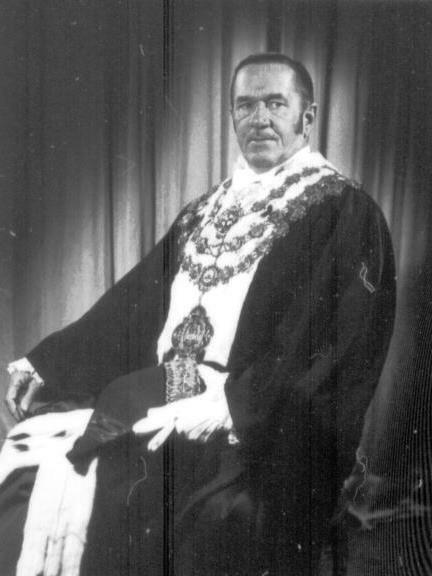 He was re-elected Alderman for Macquarie Ward, 27 September 1969 to 16 September 1977. He was a member of the Finance Committee, 1963–67 and 1973–77, the City Planning and Improvements Committee, 1963–67, and the Community Services Committee, 1973–77. 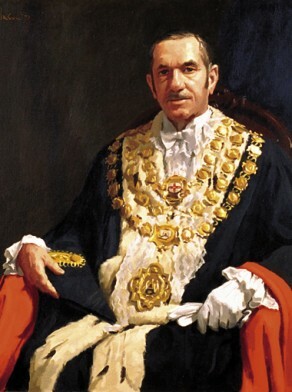 During McDermott’s term as Lord Mayor from 1969 to1972 the innovative 1971 Strategic Plan for Sydney was developed and introduced by the Council. He was a member of the Sydney Cove Redevelopment Authority, 1970–77. He represented the Civic Reform Association. Laurence McDermott contributed towards the restoration of the Queen Victoria Building and the conversion of Martin Place to a pedestrian mall. City of Sydney Archives: Aldermen’s Files; Photo: THC 88/340.